Experience premium, reliable and secure storage with a Cruzer USB flash drive. Protect access to your private files with password protection and file encryption with SanDisk SecureAcces software and get the added protection of secure online backup (up to 2 GB optionally available) offered by YuuWaa. With up to 32 GB of storage, you can count on them to help you store plenty of pictures, videos, and other digital favorites wherever you go.2-Year parts and labor warranty.System Requirements Min Operating System: Apple MacOS X 10.1.2 or later , Microsoft Windows Vista / XP. 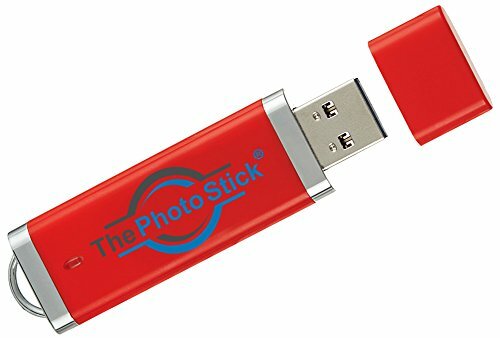 Powerful Storage USB Storage Flash Drive, fast transfer speed, you can directly record your photo / video to the flash drive 128GB of external memory expansion, can quickly release the iPhone / iPad memory. One Touch backup Backup all contacts/images/audios/videos at one click. 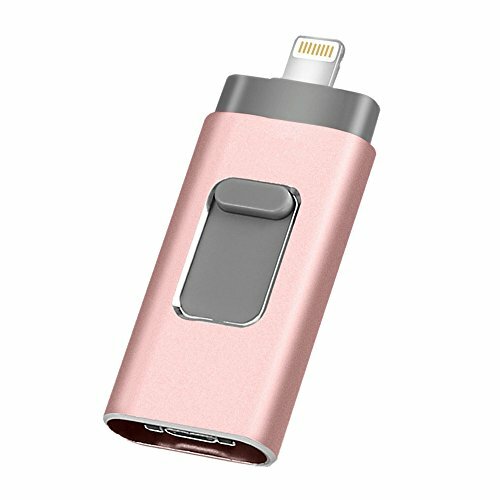 COMPATIBILITY &WARRANTY Ensure 100% compatible and can be used as iPhone 7 6 6s Plus 6 Plus 5s 5c flash drive, iPad Air Air 2 mini flash drive. 18 Months Worry-free Warranty & dedicated email customer support. 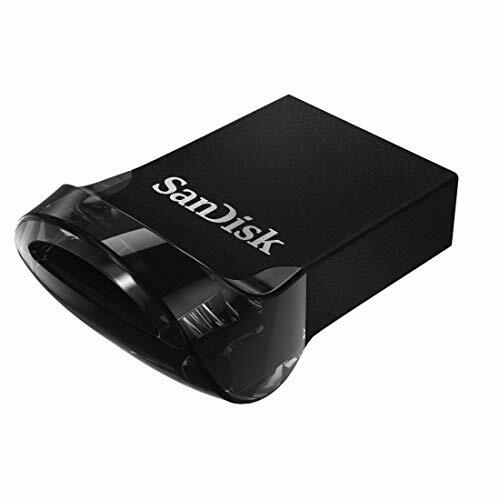 This ultra small, low profile USB 3.0 drive stays put for extra storage or moves media super fast between devices. Now you can transfer a full length movie in less than 30 seconds, enjoy write speeds up to 15 times faster than standard USB 2.0 drives and count on ever present storage that is designed to stay put. We believe that photos are more than just snapshots. They re priceless memories. Founder Mark Oman speaks from experience as he once lost precious photos from a special family vacation. This motivated him to come up with a way to easily find and save all the photos on his computer to prevent this from happening again. Fast- find and save 1000 photos in ten minutes. Saves 60,000 average size photos and videos. Works on both Mac and Windows. 128GB of storage. Finds duplicates. Safe - just store in a safe location. Eliminate the vulnerabilities of the cloud. 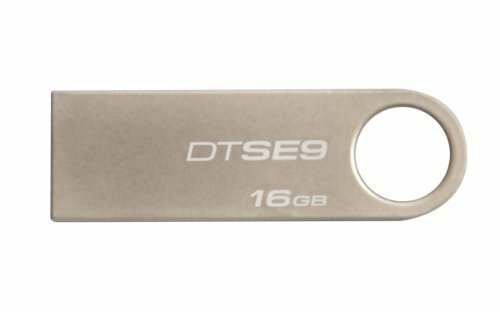 HT-IM003 (128GB) is the new version of HooToo iphone iPad iOS flash drive USB 3.0 memory stick with extended lightning connector for Windows Macbook Computer. 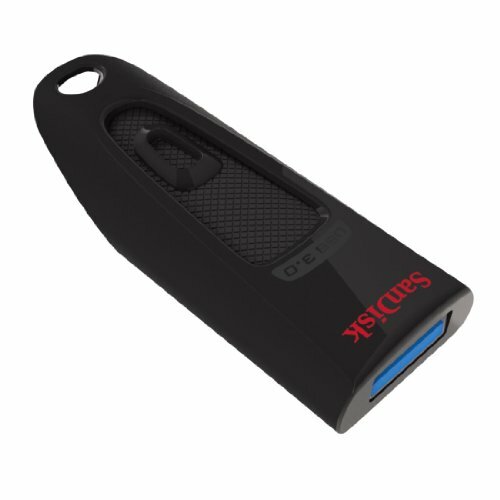 Faster: The USB end plugs into any computer USB ports and offers USB 3.0 data transfer speeds. 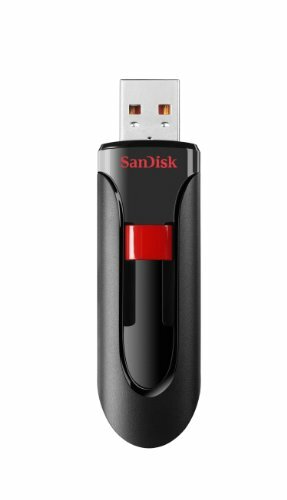 It reads up to 80 MB/s and writes up to 40 MB/s. Lightning port: up to 30MB/s reading speed, 10MB/s writing speed. Portable and Convenient: At a fraction of the size and weight of an iPhone, it is the best companion for your Apple devices. Take it with you everywhere to instantly save up more space, letting you enjoy more content. And extra 4mm extension means the lightning connector works with most of thick cases without having to take them off. Strong and Friendly: install the APP "iPlugmate". 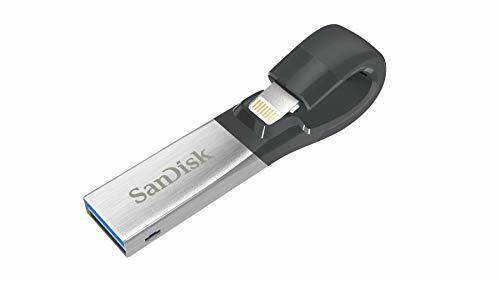 You can use your idevice to stream movies and listen to podcasts stored on the flash drive directly, saving valuable spaces on your devices and keep the APP updating continuously. Image: gif, jpg, png, jpeg Music: m4a, aiff, caf, mp3, wav Video: avi, flv, m4v, mkv, mov, mp4, rmvb, wmv Document: doc, ppt, xls, xlsx, pdf, html, txt Bigger: 64GB of capacity, you can store more of the latest HD movies, take thousands of photos, grab more seasons of favorite TV shows, listen to more podcasts, and never worry about using up more space on your idevice without using iTunes or iCloud. Device Support: iPhone 5 5s 6 6 plus 6s 6s plus se 7 7 plus; iPad (iOS 8.0 or higher), Computer OS Support Mac OS X v10.6 above, Windows XP 7 8 10. Please Note: IF NECESSARY, PLEASE REMOVE PHONE CASE FIRST (especially if OtterBox or LifeProof.) You cannot transfer or watch media files downloaded from iTunes or other 3rd party apps, as these files are Digital Rights Management protected. Instruction PDF is in flash drive. 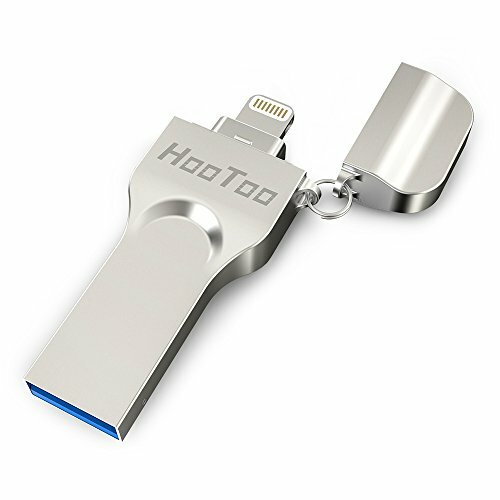 [True Instant Plug-And-Play Storage 128G] HooToo flash drive for iPhone instantly back up your phone storage to the pen drive with 128GB of capacity, you can store more of the latest HD movies, take thousands of photos, grab more seasons of favorite TV shows and encrypt these files. 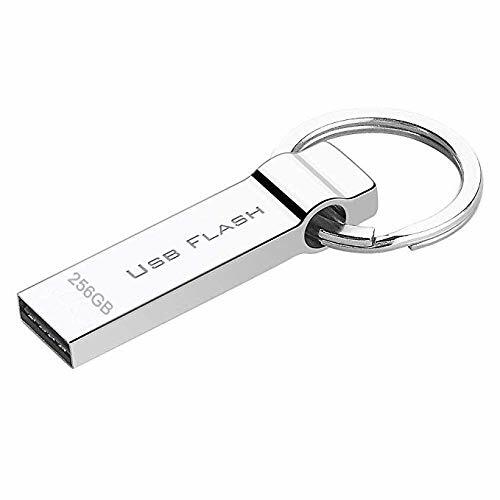 [True Superspeed Usb 3.0 File Transfer Speed]: Authorized Exfat ios flash usb drive for iPhone and iPad enables You Transfer Individual Files Larger Than 4Gb. Transfer Files To And From Your Pc At Up To 80 Mb/S Reading And 30 Mb/S Writing Speed. [Format-Friendly Streaming App] The Free App Iplugmate Supports All Major Video, Music Formats and Keep Updating with Latest ios Version So You Can Stream Directly From The iPhone Flash Drive, Saving You Precious Space And Saving More Time From Other No Tech Support APP. [Premium Aluminum Build & Easy-To-Carry]: Enjoy Durable And Superior Protection With The Full Aluminum Alloy Design And Weighs Only 0.25 Oz. 18 months of warranty. Chip: Grade A, original brand, time and time again for 100.0000 time. Operating temperatures: 32 F to 140 F (0 C to 60 C). Storage Temperature:-4 F to 185 F (20 C to 85 C). Shelf Life: more than 10 years. Shelf Life: more than 1000 times reading and writing. Compatibility: Desktop, Laptop, Tablet, Speakers and all with USB port that allows for data transfer. Operating System: Supports Windows 10, Windows 8, Windows 7, Vista, Windows XP, Linux, Mac OS 10.3 and later. School registration, graduation, exhibitions or as a promotional gift. 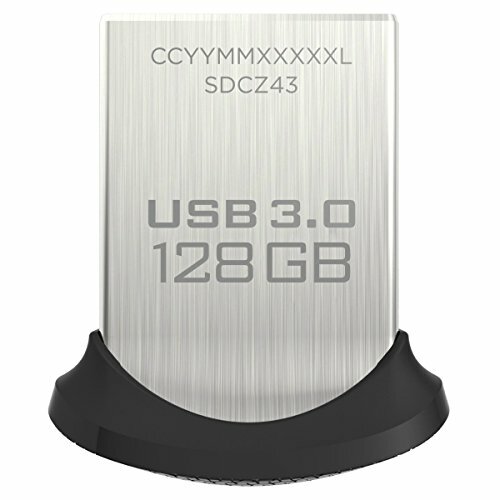 The Cruzer Fit USB flash drive provides extremely compact storage for the smallest of host devices. Sleek in style and great in value, simply store your music collection, video collection, or pictures on the Cruzer Fit USB flash drive and start sharing with your family and friends. It also helps keep your data safe from prying eyes with the included SanDisk SecureAccess software(2). Whether it's your favorite music or your work documents, the Cruzer Fit USB flash drive gives you the storage you need in a compact and portable device. 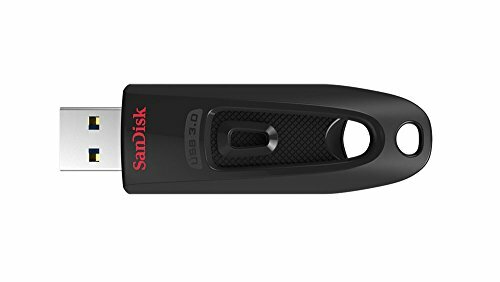 | (2)SanDisk SecureAccess software compatible with Windows Vista, Windows 7, Windows 8, Windows 10 and Mac OS X v10.7+. Mac software requires download. Password protection uses 128-bit AES encryption. Backed by a 2-year limited manufacturer warranty (5-year warranty in regions not recognizing limited warranty). 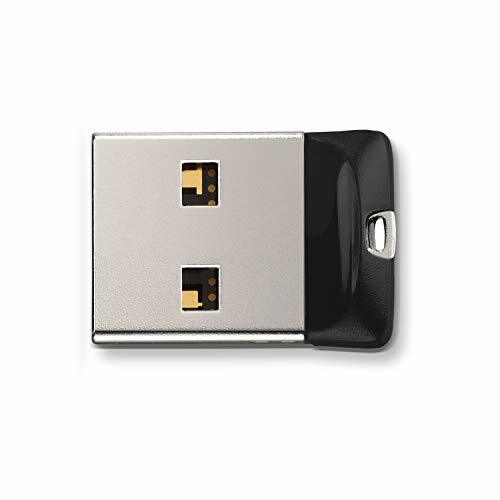 The Cruzer fit USB flash drive provides extremely compact storage for the smallest of host devices. Sleek in style and great in value, simply store your music collection, video collection, or pictures on the Cruzer fit USB flash drive and start sharing with your family and friends. 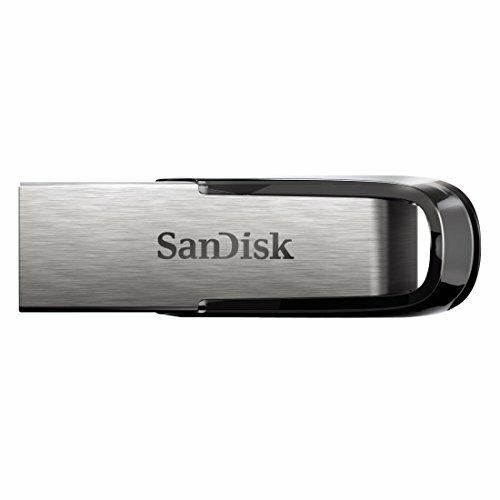 It also helps keep your data safe from prying eyes with the included SanDisk secure Access software). whether it's your favorite music or your work documents, The Cruzer fit USB flash drive gives you the storage you need in a compact and portable device. 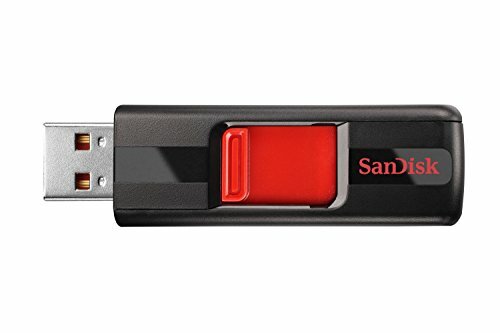 | (2)SanDisk secure access software compatible with Windows Vista, Windows 7, Windows 8, Windows 10 and Mac OS X V10. 7+. Mac software requires download. Password protection uses 128-bit AES encryption. Backed by a 2-year limited manufacturer (5-year in regions not recognizing limited ). Are you tired of storage warnings on your phone? Are you still worried about the lack of internal storage space for your phone? 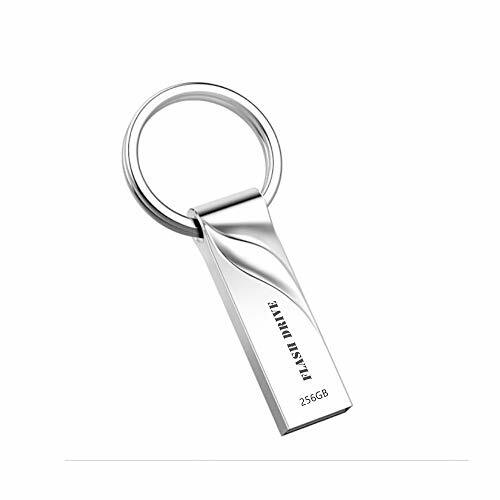 -It is a USB flash drive with three connectors that can transmit files for all Apple products. -Multi-functional, small, large-capacity storage, is the first memory in the world that can transmit three connectors. -- You don't have to pay extra for additional storage, just insert it and enjoy the extra space of your device. 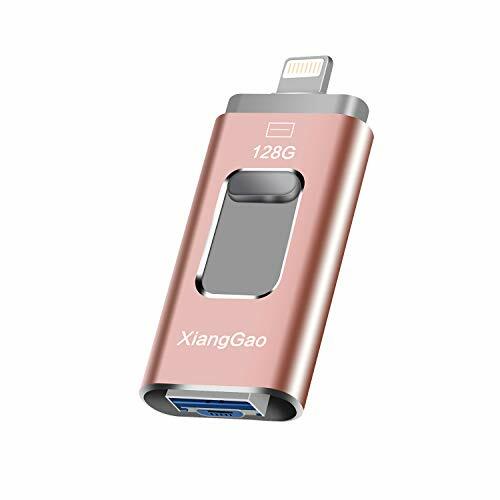 -XG flash drives are excellent solutions for transferring files, videos, and pictures back and forth from iPhones and iPads and computers. -Compact devices fit almost anywhere. 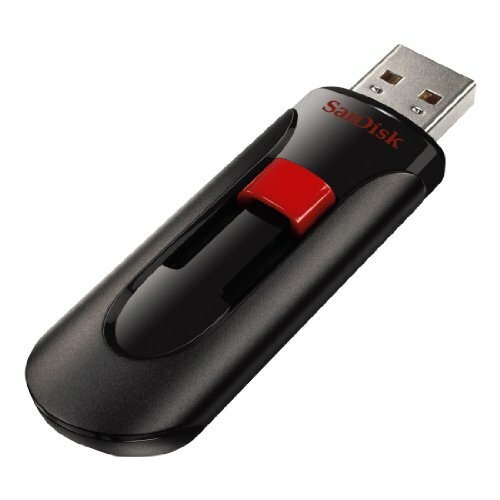 Store your favorite movies or TV shows from your computer on the XG flash drive and watch them anytime, anywhere. -(compatible with iPhone / iPod / iPad) Lightning connector with Apple licensed chips to ensure compatibility with any Lightning device 100 Zs without annoying error messages. 1. Our products will provide you with 100 % satisfactory service, 10 years free warranty, quality issues, unconditional return. 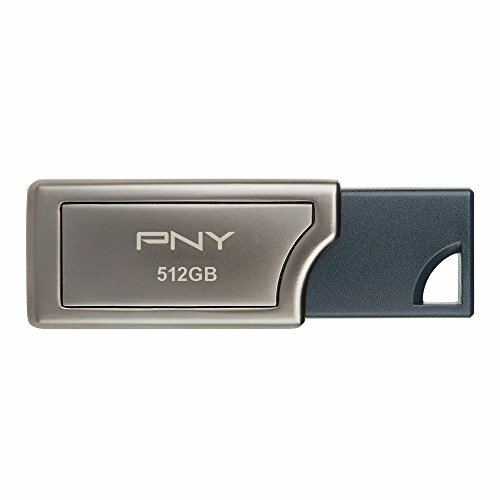 The PNY PRO Elite USB 3.0 Flash Drive is built for speed, boasting not only expanded capacity but also exceptional performance, making it the ideal solution for extreme users working with the largest files and most demanding applications. With read speeds of up to 400MB/s and write speeds up to up to 250MB/s, the PRO Elite USB 3.0 Flash Drive is up to 80x times faster than standard PNY USB 2.0 Flash Drives. The PRO Elite is designed with both performance and convenience in mind, and is the perfect solution for transferring and storing large documents, high-resolution photos, and HD videos quicker and easier than ever before. 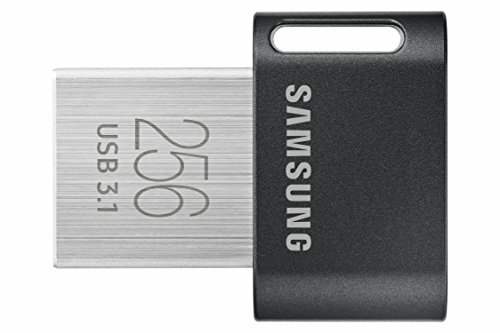 It is compatible with USB 3.0 equipped PC and Mac desktop and laptop computers, and backwards compatible with USB 2.0. All-metal percision build, concise fashion, ultra-compact.Fully resist all accident compact damage. 100% seal design waterproof,dustproof,anti-static,anti-magnetic,high temperature. No need drive/power supply only plug in,easy to read and read in high speed. The loop provides the attachment of a lanyard or key chain making the drive ideal for transporting important data.